It happens to every parent, and every parent dreads it – the day their child opens their mouth and out pops a colorful curse word. Most kids don’t even know what they’re saying when they use profanity or repeat a crude joke. When this happens, it’s on you as a parent to avoid laughing or overreacting and to put the genie back in the bottle, so to speak. When this kind of thing happens because your child heard a dirty word or joke once, it’s fairly simple to deal with. However, if they’re constantly exposed to profanity or crude humor, it can be almost impossible to contain. That’s why it’s so important to watch out for the content in your kids’ mobile apps. You can start this process by ensuring that your child doesn’t have access to inappropriate apps by restricting their download capabilities. If you don’t give them your password for the iTunes App Store or Google Play, then they won’t be able to download apps on their own. Next, if you pay attention to apps’ ratings when you do download them for your kids, you’ll be one step closer to ensuring that all of the content they see is age appropriate. You may be wondering at what age kids should be exposed to profanity or crude humor. As we all know, there’s a big difference between hearing, “Go to Hell!” a couple of times and hearing the kind of language that comes out of some comedians’ mouths on a regular basis during their sets. That’s why profanity is usually broken down in ratings into those apps which have a little and those which have a lot. For a rating that’s appropriate for kids nine years and older, infrequent or mild profanity or crude humor will usually be acceptable. If the profanity and crudeness get too frequent or intense, though, the rating will be bumped up to a 12+ or even 17+. If you’re interested in finding out how risky an app is for this kind of content, you can go to our app directory and search for the app your child wants to use. Then you can find out how high the risk factor is that your child will be exposed to mild or intense profanity and at what frequency. Monitoring your kids’ exposure to profanity or crude humor is important because early exposure to this kind of content can result in problems for your child. First of all, as we mentioned a moment ago, if your child is constantly exposed to inappropriate language, then they will begin to use it at inappropriate times. 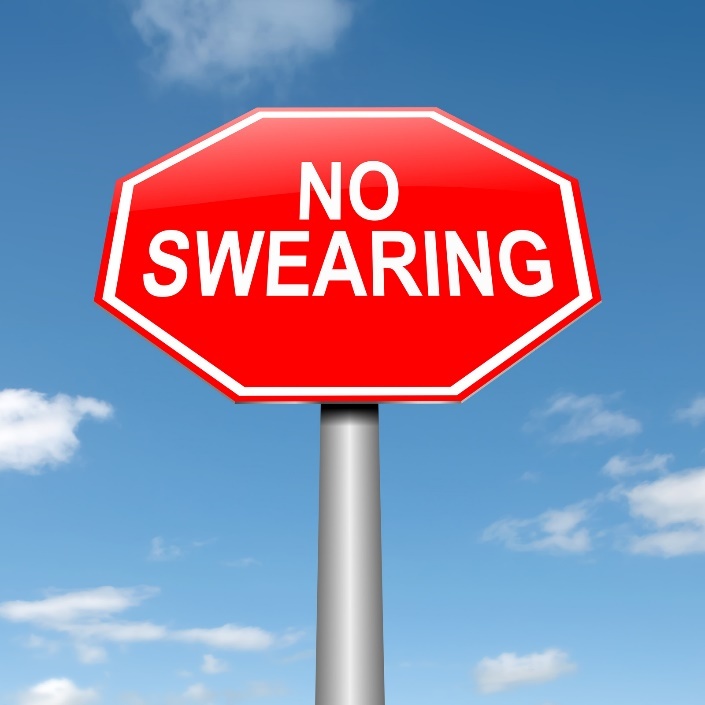 This can cause problems at school and in extracurricular activities, especially if your child uses profanity while displaying a poor attitude. Early exposure to profanity can also lead to acting out in public. Essentially, thoughts and words become actions, and if your child’s thoughts and words are abusive and negative, their actions may become abusive or violent. That’s why it’s important to talk to your kids about the words they hear on a daily basis, what they mean, and why it’s inappropriate to use some of them in some circumstances. No matter how you try, there will always be some chance of mobile apps exposing your kids to profanity or crude humor. With apps like Facebook, Instagram, and Twitter, exposure is largely limited by the friends they keep on their social networks, not by the apps themselves. Likewise, apps like Ask.fm and Kik have higher risk levels for profanity and crude humor, not because there’s anything crude written into the content of these apps but because they encourage teens and tweens to communicate privately with each other and/or ask and answer controversial questions anonymously. Keep an eye on your kids’ social interactions on mobile apps, and if you see anything that concerns you, sit down and have a talk. Don’t be accusatory, but do be honest and direct. Tell your child that you’ve seen something that bothers you and that you want to talk to them about appropriate and inappropriate communication. If you hear your child using profanity or crude humor, or if you catch a post on social media, ask them why they chose to use that language or make that particular joke. Encourage more appropriate self expression and help them work through their emotions, and – if necessary – restrict their access to apps that promote vulgar language and humor until they are old enough to handle it. You can’t protect your kids from profanity or crude humor forever, but you can help limit it up to a certain age. And you can help them learn when it is and isn’t appropriate to use certain language and tell certain jokes.